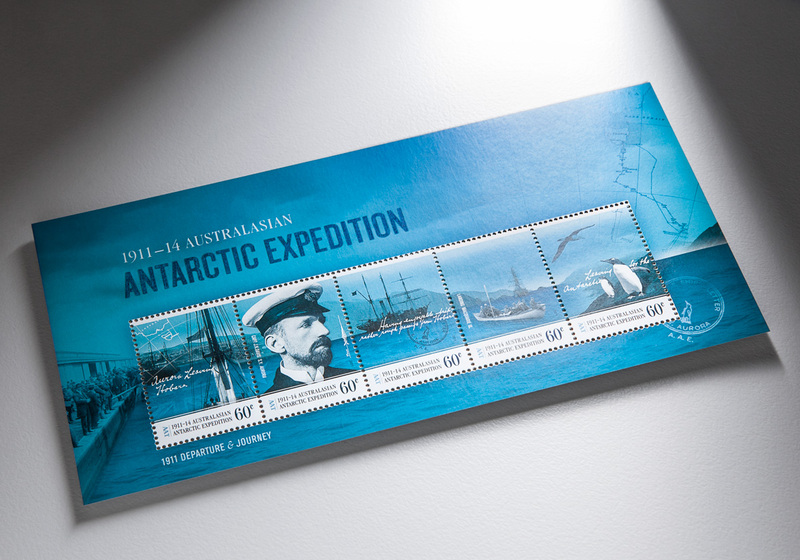 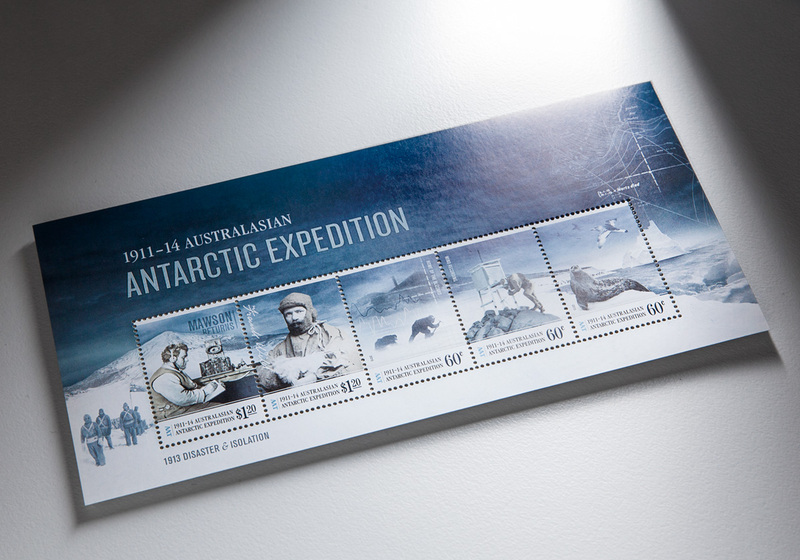 Commemorating the 100th anniversary of the 1911-1914 Australasian Antarctic Expedition (AAE) led by Sir Douglas Mawson, this complex commission sees the issuing of 5 stamps, a miniature sheet and associated products every year, for four years. 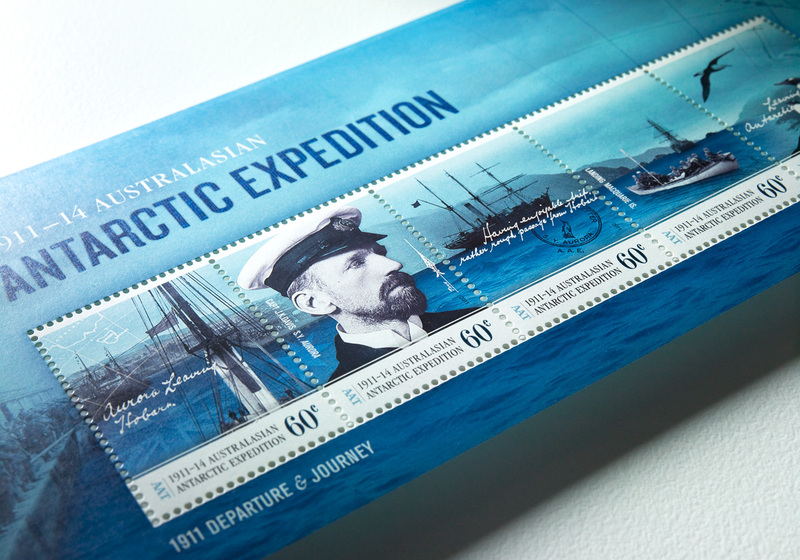 Working with the imagery of legendary Australian photographer Frank Hurley, this series of stamps visually narrates the journey from the Hobart departure of the AAE through to its triumphant return to Adelaide four years later. 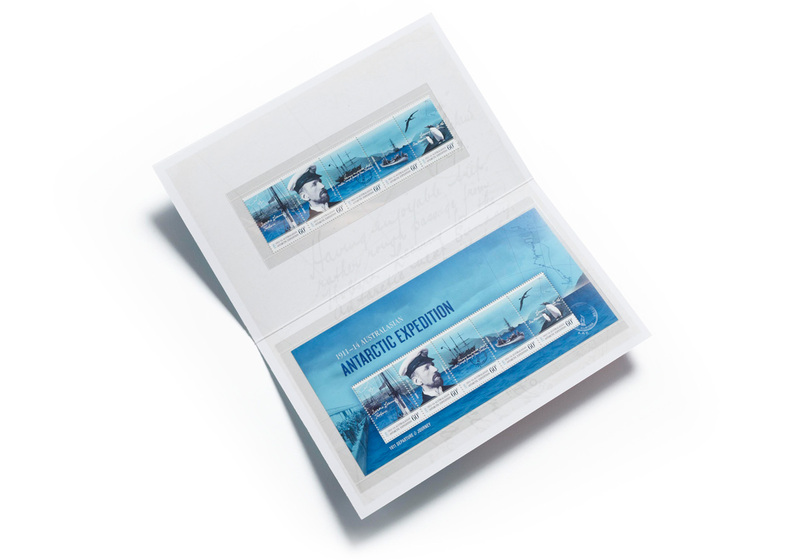 On this occasion the studio was also responsible for the design of the stamp pack, first day cover, maxi cards and postmark. 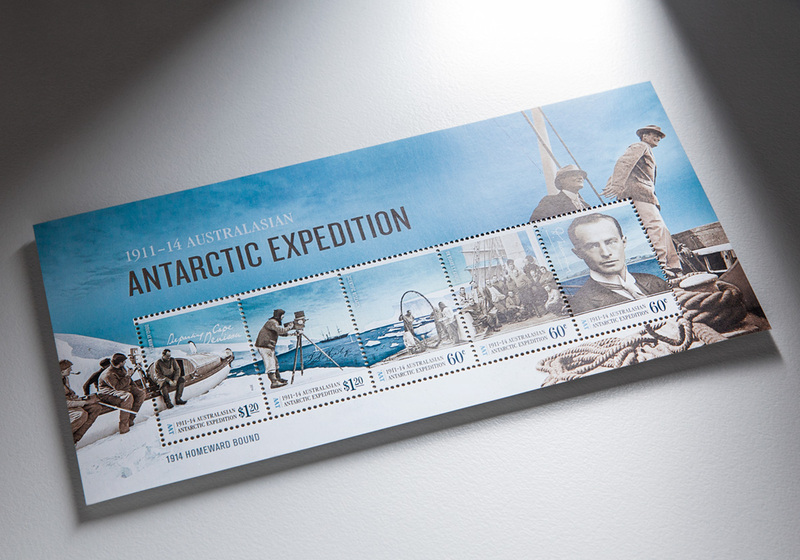 Artwork reproduced with permission of Australia Post. 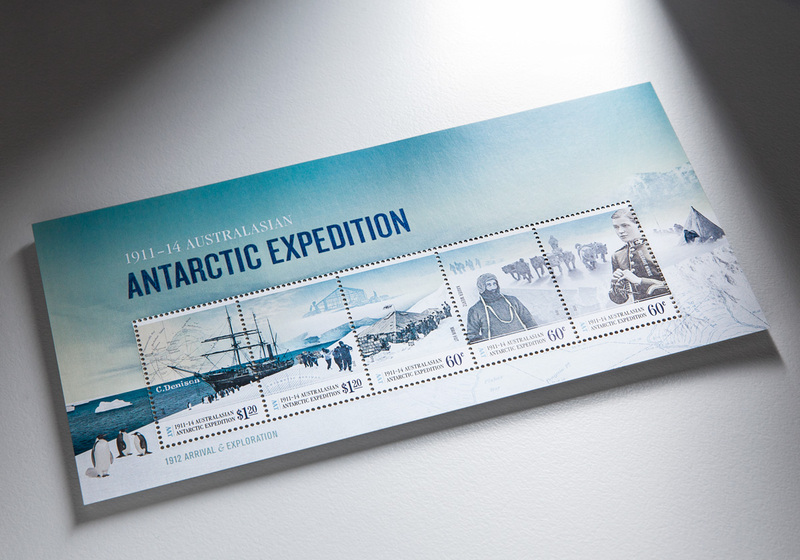 Copyright Australia Post.